For over 40 years, Dr. Turk has helped residents of Orange and surrounding areas achieve attractive smiles and lasting oral health. As a general and Bioesthetic dentist, he creates natural-looking smiles that feel great and function as nature intended. 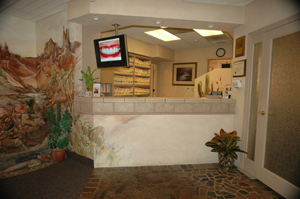 He treats the underlying source, not just the symptoms, of dental problems to deliver total wellness. Dr. Turk believes that each patient deserves his time and full attention, so he'll invest in you to foster a lasting relationship built on trust, understanding, and genuine concern. After receiving his undergraduate degree from the University of California at Los Angeles, Dr. Turk earned his DDS from the University of Southern California. A lifelong learner, he continues to hone his craft through continuing education. He has accumulated more than 2500 hours of continuing education credits in the past 10 years. Dr. Turk's many professional memberships include the International Congress of Oral Implantology, American Dental Association, Academy of General Dentistry, American Association of Cosmetic Dentistry, American Academy of Facial Esthetics, Arnett Orthognathic Surgery Forum, American Equilibration Society, Lee Institute Orthodontic Study Club, and Orange County Peer Review. He is a Fellow and Master of the Academy of General Dentistry and has been on the faculty of the Foundation for Bioesthetic Dentistry for 15 years. In addition, he networks with his peers through the Roth Williams Institute, a professional orthodontic study club. 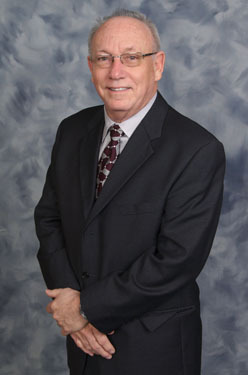 Dr. Turk formerly participated with the Chamber of Commerce, Toastmasters, and Rotary Club. Dr. Turk has three children, two sons and a daughter, and has lived in Orange County since 1954. In his spare time, he enjoys camping, backpacking, and being a grandfather. He also likes to help people achieve healthy lives, and to this end, he pursues the art and science of dentistry, as well as teaching. Dr. Jinny Bender received her bachelor's degree in Biological Sciences from the University of California at Berkeley (1990) and her dental degree from Tufts University School of Dental Medicine (1995). While at Tufts, she was awarded the Tufts University Dental Alumni Association award for superior clinical excellence in General Dentistry. Currently, she is involved in Forensic Dentistry and is an approved Dental Expert witness for the California Dental Board. She enjoys practicing all phases of general dentistry. 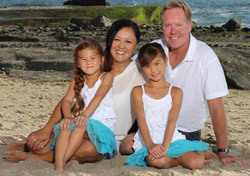 A married mother of two daughters ages five and nine, Dr. Bender balances her professional life with her devotion to and support of her family along with her interest in gardening, sports and travel. As our business administrator and office manager, Carma keeps our practice running smoothly. She has over 46 years of experience in dentistry and has worked with our team since 1995. She enjoys getting to know patients and showing them that they can afford quality dentistry. Carma appreciates the professionalism and caring attitude demonstrated by Dr. Turk and our staff. Carma and her husband like to travel. They have ten grandchildren. In her spare time she likes to cook, do crafts, read, swim, and listen to music. Jennifer is a graduate of Cypress College and is a member of the Association of Dental Implant Auxiliaries. She has fifteen years of experience as a dental assistant, and has been with our practice since 2003. Jennifer enjoys our team camaraderie and considers our staff her second family. Married with a daughter and a son, Jennifer enjoys spending time with her family. She also likes to cook, watch DVDs, shop, and go to the beach. Debra brings almost three decades of experience as a dental hygienist to our office and has been with us since 2003. She appreciates Dr. Turk's commitment to excellence and enjoys the patient relationships she's developed during her career. Debra is married with four children, two girls and two boys. In her spare time, she enjoys spending time with her family, traveling, music, and sports. Katie Ann pursued undergraduate studies at Fullerton College and received her dental hygiene certification from Cerritos College. She's been a member of our staff for since 2006. Katie values our progressive approach to dentistry and enjoys helping patients achieve optimal oral health. She has a husband and two young sons and enjoys singing and boating when not practicing with Dr. Turk. Lori has been helping our patients achieve optimal dental health since 2002. She attended Fresno City College and is a member of the California Dental Hygienists Association. Lori appreciates Dr. Turk's progressive attitude and investment in technology and loves working with patients and staff. Married with two young sons, Lori likes to spend time with her family and travel. ©2008 G. Mitchell Turk, D.D.S., M.A.G.D. • Site designed and maintained by TNT Dental.